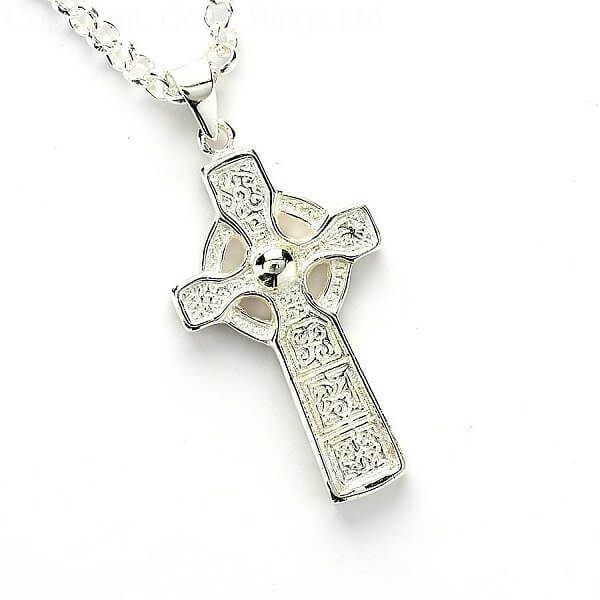 A stunning representation of Duleek's cross, in sterling silver, which is well known for its combination of Celtic and Christian art. 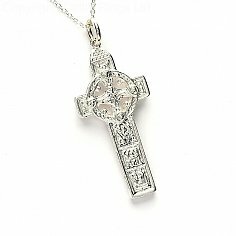 This Duleek cross is centered by a polished, gleaming sphere that brings out the various star-like intricate texturing surrounding it. 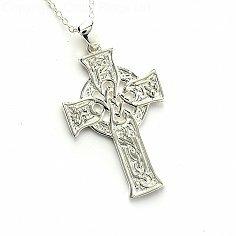 The engravings of the cross itself are so detailed you can see easily a triskelion, a symbol that grants a feeling of constant forward motion upon sight. Even the outer circle, that which makes a cross a Celtic cross, is intricately textured. Overall, a beautiful representation of Irish heritage that comes on a complementing bell chain.